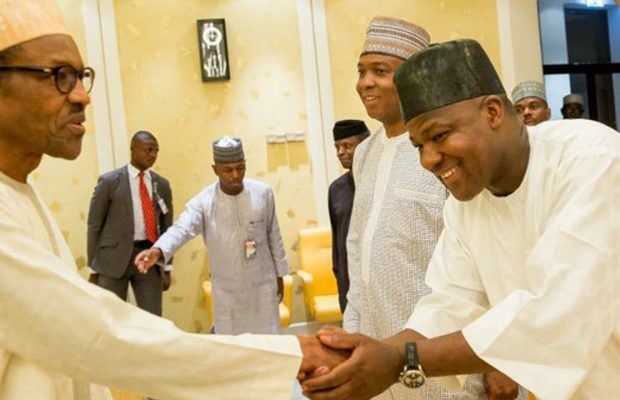 President Muhammadu Buhari is currently meeting with the Speaker of the House of Representatives, Yakubu Dogara. Dogara arrived for the meeting holding inside the Presidential Villa, Abuja at noon. The President of the Senate, Bukola Saraki, has also arrived the Presidential Villa for his meeting with Buhari. He arrived at about 12.30pm. As of the time he arrived, Dogara was still with Buhari.